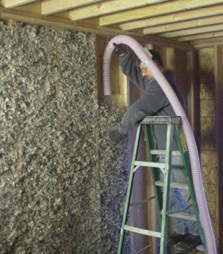 Board insulation, denim, cotton batts, and natural sheep wool insulation are all fantastic alternative insulations Energia offers in central and western MA. How Many Sheep Does it Take? There are a few insulation options that we offer for specific projects that serve specific and unique applications. Ask us about whether these insulation options would be right for your home or building. Polyisocyanurate board insulation, or Polyiso, has the highest R value of all standard insulation products. It also is offered with or without a thermal fire-rated barrier. Cotton or Denim batts are often used in homes or buildings where inhabitants have dust or chemical sensitivities. If you’re interested in learning about alternative insulation options, give us a call at 413-322-3111. Our team can provide free estimates for your alternative insulation install.